Marcel Kuijsten's books have thousands of readers in all 50 states and more than 35 foreign countries. 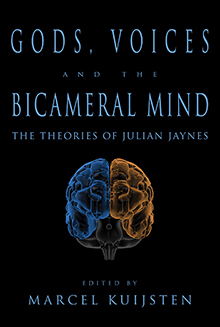 Julian Jaynes's bicameral mind theory was recently featured on the HBO hit series Westworld. Does consciousness inevitably arise in any sufficiently complex brain? Although widely accepted, this view — inherited from Darwin's theory of evolution — is supported by surprisingly little evidence. 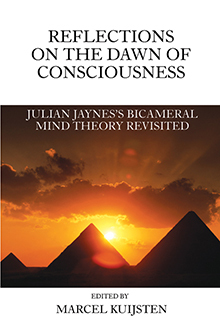 Offering an alternate view of the history of the human mind, Julian Jaynes's ideas challenge our preconceptions of not only the origin of the modern mind, but the origin of gods and religion, the nature of mental illness, and the future potential of consciousness. The tremendous explanatory power of Jaynes's ideas force us to reevaluate much of what we thought we knew about human history. Princeton University psychologist Julian Jaynes's revolutionary theory on the origin of consciousness or the "modern mind" remains as relevant and thought-provoking as when it was first proposed. Supported by recent discoveries in neuroscience, Jaynes's ideas force us to rethink conventional views of human history and psychology, and have profound implications for many aspects of modern life. 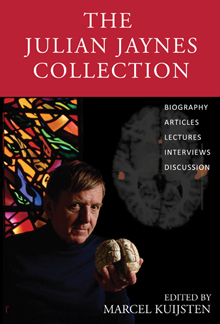 Included in this volume are rare and never before seen articles, lectures, interviews, and in-depth discussions that both clear up misconceptions as well as extend Jaynes's theory into new areas such as the nature of the self, dreams, emotions, art, music, therapy, and the consequences and future of consciousness. "I have rarely read a manuscript that so eloquently and elegantly examines a complex and pervasive phenomenon. The contributors of this volume have integrated the concepts of psychology, anthropology, archaeology, theology, philosophy, the history of science, and modern neuroscience with such clarity it should be considered an essential text for any student of human experience."